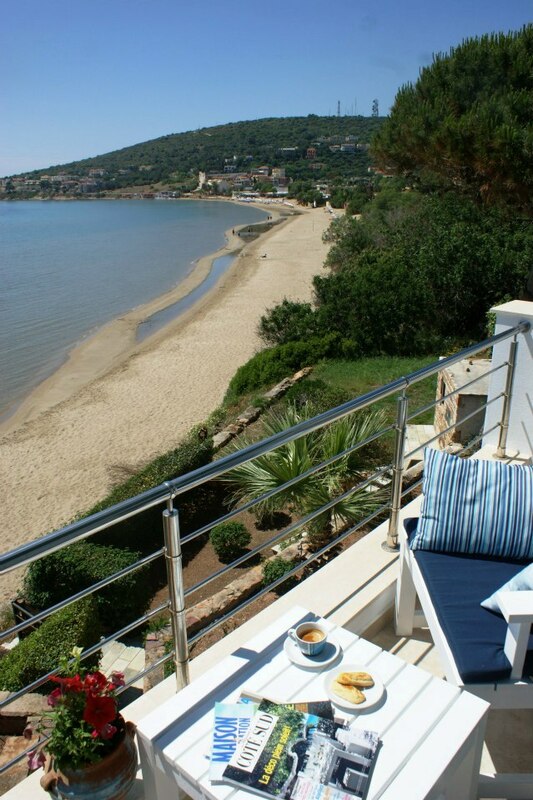 Are you looking for apartments with sun, sea, and sandy beach? 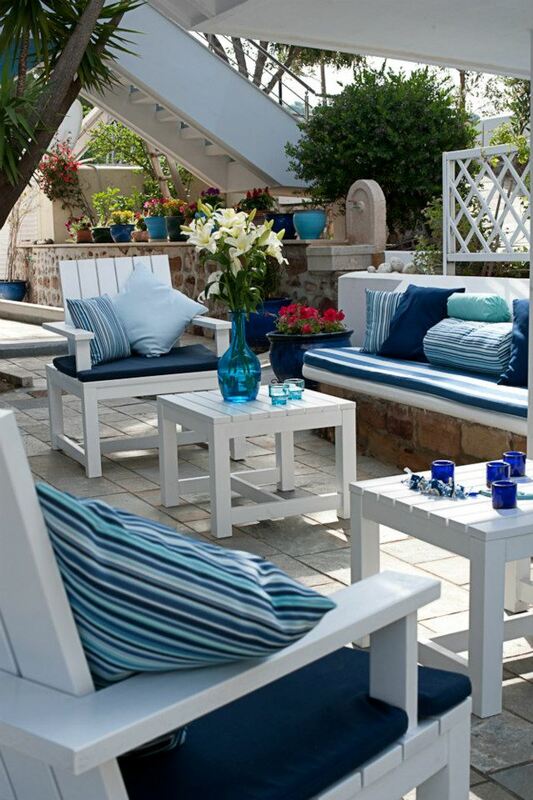 Beautiful and comfortable apartments? 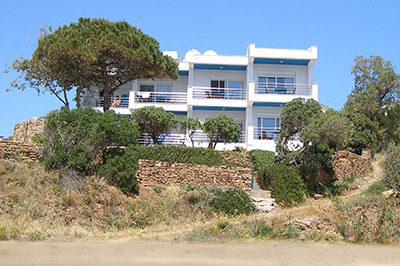 Sideratos apartments rents 7 apartments seaside at Karfas, on the island of Chios, Greece. 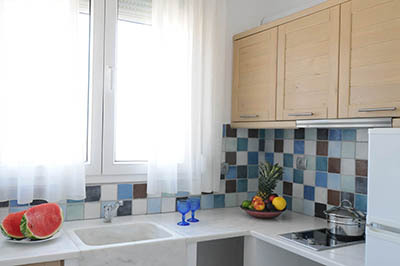 All of the apartments are directly located by the sea, attractively furnished and equipped with all the necessary household appliances. 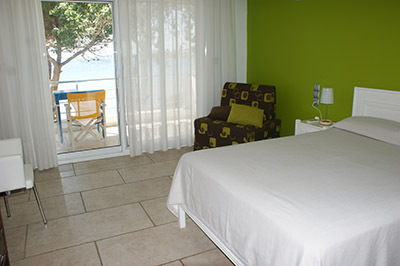 The 7 furnished apartments Sideratos from a small and friendly hotel directly at the seaside, gives the guests the possibility to enjoy the holidays away from noise and stress. 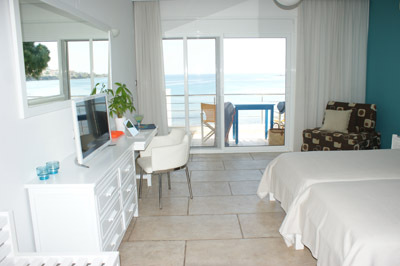 Each apartment has its own balcony over viewing the beautiful sandy beach and a marvelous garden. 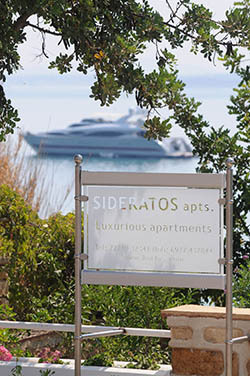 Sideratos apartments are the best choice for guest who wants to enjoy lots of sunshine, the beach, the great view and many peaceful nights. Prices vary between 40 ? 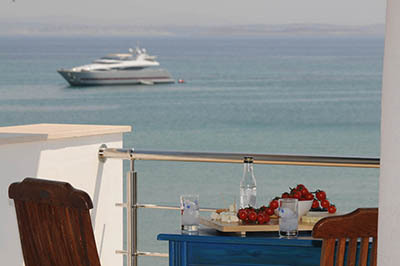 and 70 ?, depending on high or low season and nights of stay. 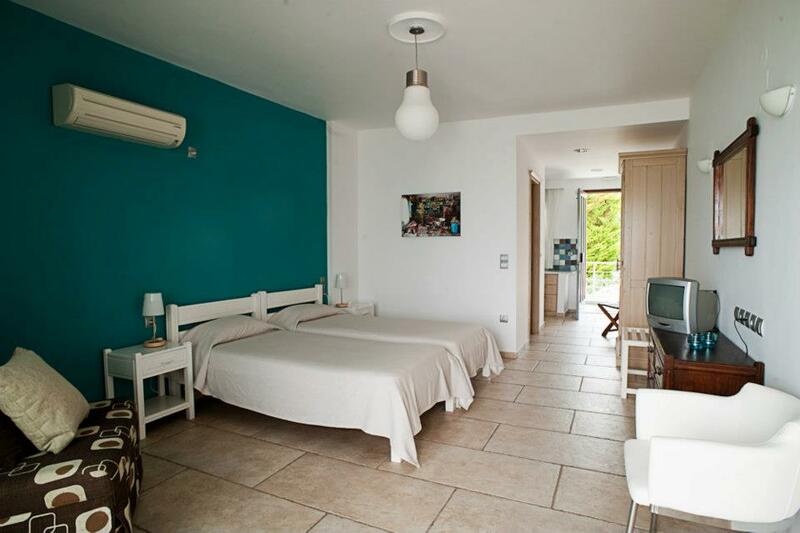 They are based on 2 persons a night per apartment and include air conditioning and wireless Internet access.